ISLAMABAD, Aug 9 (APP): National Assembly Standing Committee on National Food Security and Research on Tuesday approved the Plants Breeders’ Bill-2016. Chairman of the Committee Malik Shakir Bashir Awan presided over the meeting was attended by members of the Committee, senior official of Ministry of National Food Security and Research and representatives of Law and Justice ministry. The meeting discussed contents of the Plants Breeders’ Right Bill-2016 and approved for tabling it in the House. Minister for National Food Security and Research Sardar Sikandar Hayat Khan Bosan informed the committee that this Bill was introduced in the House in year 2005 but remained pending for years. The minister said that other parliamentary parties also played key role for the formulation of the Bill and hoped that its passage from the parliament would bring revolution in the local agriculture sector. He said it would help in attracting the foreign investment and technology transfer in seed production sector of the country, besides, it would also encourage local seed industry to develop high yielding seeds to enhance per acre crop output in the country. 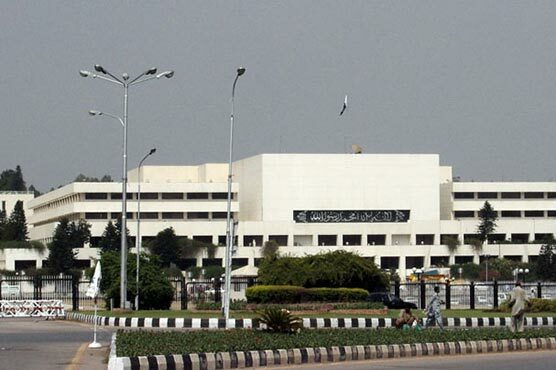 He said that the Senate Standing Committee has also showed its consent to approve the Plants Breeders’ Bill, adding that the bill would be presented before the National Assembly for approval. Meanwhile, Secretary Ministry of National Food Security and Research, Muhammad Abid Javed informed the meeting that it would attract the investment in modern variety development and plant breeding research and seed industry. He said this initiative would also provide an opportunity to local farmers and seed industry for accessing to international modern crop varieties aimed at generating revenue for public private sectors.